Getting and giving gifts is one of humanity’s oldest traditions. Love. Joy. Gratitude. Condolence. Whether you give or receive a gift, it tends to be a heartwarming or thoughtful experience. We want to give our friends, family, loved ones, and significant others the moon, but unfortunately, we’re all on some sort of budget. 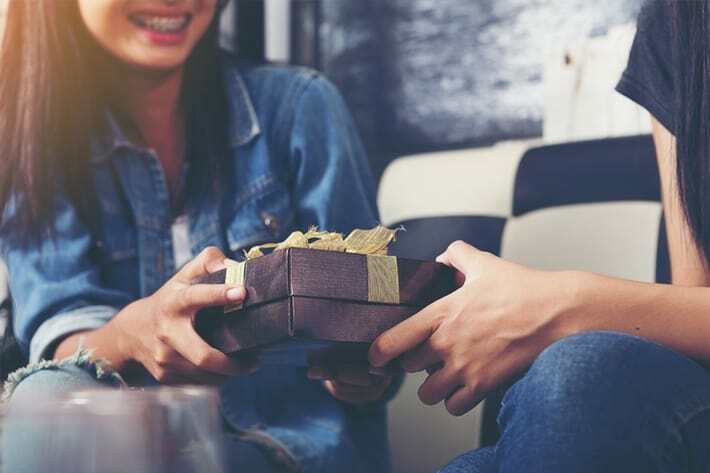 However, the lack of finances shouldn’t make a gift droller, instead bringing out the creative juices that many of us have and putting them to good use, as we hunt for or come up with some inexpensive ways to bring joy into the hearts of others. We can even give the gift of personal time spent with a loved one—that counts, right? Not a creative person? That’s okay! Here are some suggestions for you, sorted into categories of the people in our lives that matter the most, and for a variety of occasions. Assuring her that your father is just as handsome as Colin Firth; he’s not. It is possible that some of these gifts might not fit your style, and that’s okay! You’re brightening the future for your loved ones across America. You love and care about these people and they feel the same way about you, so don’t worry—they’ll love whatever you decide to concoct for them for whatever the occasion entails.